Happy St. Paddy’s Day! I have been trying to incorporate more healthy food into my diet. Over the last week I have been drinking “green smoothies”. 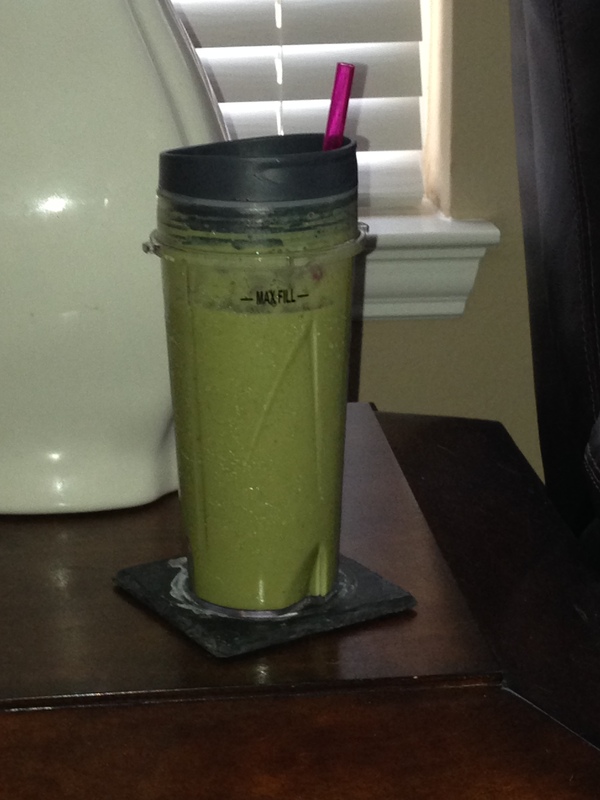 How fitting to have my green smoothie as my #100daysofhappiness on a holiday that is filled with green! Basically I have been taking a normal smoothie and adding spinach and honey to it! It does have a different taste but it is still sweet and yummy! I have been able to add more spinach every time… so for those of you afraid start small and build up! I use a Ninja and I LOVE it! What is your favorite way to incorporate healthy foods into your everyday diet? Have you tried kale? Or just spinach? Kale is my next try once I go to the store this weekend! Do you use it? I used to add it in to my salads– haven’t tried doing it as a smoothie yet!